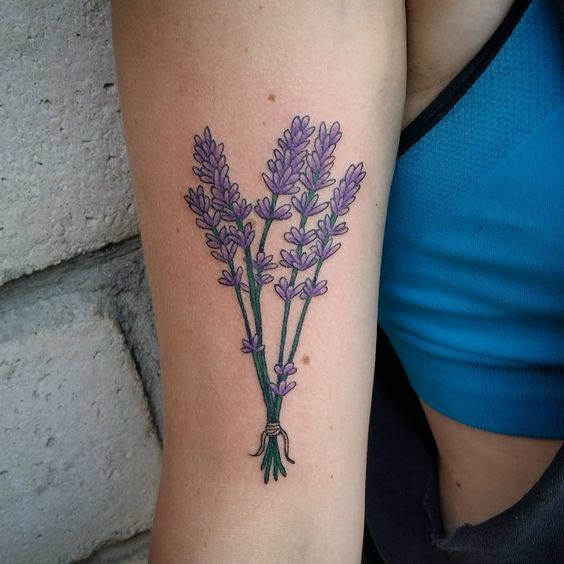 A lavender tattoo is a beautiful, although, not a very popular flower tattoo type. However, you can find lavender in many parts of the world, and many people recognize it as it’s a beautiful plant. Lavender is not only a beautiful flower but also a valuable plant. 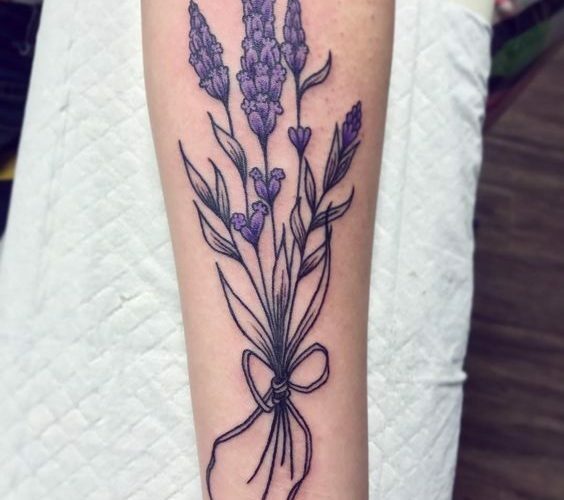 If you are looking for a delicate flower tattoo design – take a look at our selection of lavender tattoos. Not only lavenders have a beautiful symbolism, but there are also many practical ways of using it. In the ancient Roman Empire, it was a healing herb which price was 100 denarii per pound. This amount of money was equal to a monthly wage of a farm worker. Also, there is a mention of the usage of the lavender in the old testament. It was one of the main components to make the divine essence. 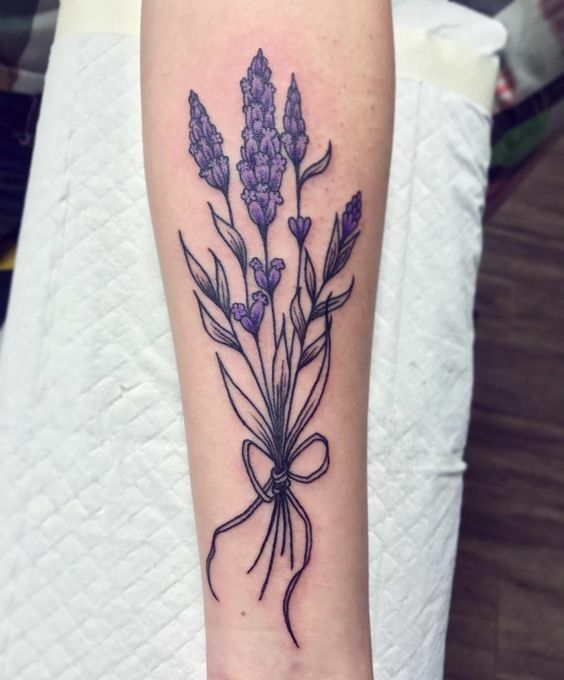 In the ancient times, people used lavender as an antidote for snake bites. Also, it is a standard component of many aromatherapy oils and other lotions. The oil made of lavender soothes the insect bites, acne, burns, headaches and inflammatory conditions. Until today, many people use lavender bunches to repel insects. Also, some people put lavender inside the pillow for better sleep and relaxation. Lavender is a symbol of silence and purity. It represents the clean and pure soul, and monks use it during the meditation. It is also a symbol of serenity, as it helps with stress and anxiety. Another meaning of the lavender is caution, as many ancient cultures used it as a sign to be careful. 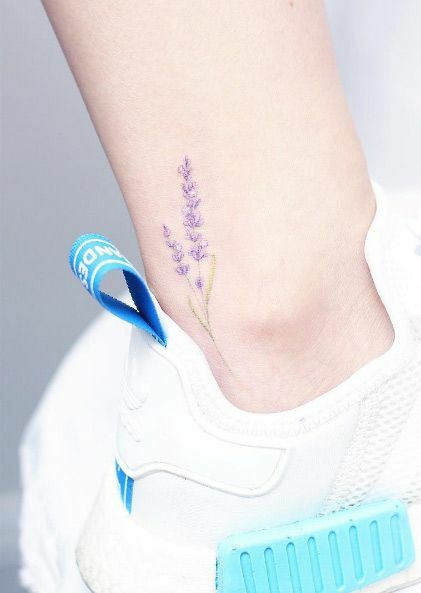 Besides, the purple color of the lavender expresses the elegance and luxury. Also, in the tantric yoga tradition, the purple color stands for the crown chakra – the energy center that helps to achieve the higher purpose and spiritual connectivity. So, we can see that this flower was always more popular because of its practical use rather than its beauty. Until today, we use it for oils, lotions, cooking and many more products. But generally, we can say that it represents the clean and pure soul and protects us from all the evil energies. Also, it can be a great reminder to stay calm and relaxed. 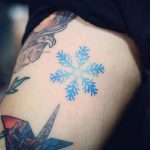 As we were looking for tattoos to complement this article, we found incredible designs. 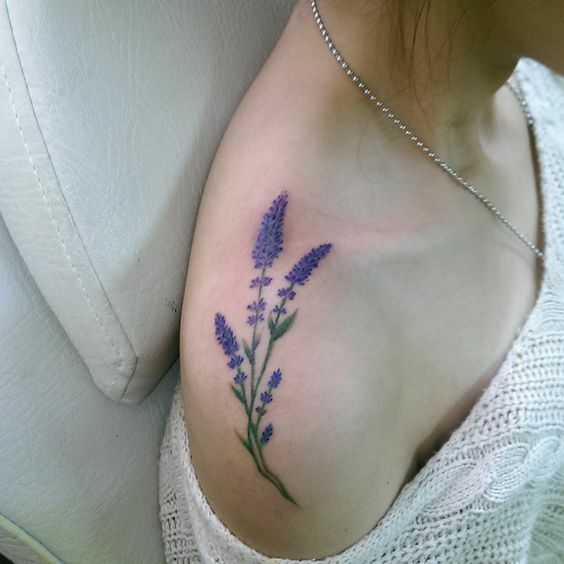 Simple, elegant, and delicate lavender tattoos are a perfect choice for every woman. Take a look at our selection, and we are sure that you will find an excellent idea.